Le koga bo z lepim darilom za rojstni dan presenetil tale simpatični samorog? Voščilnico sem izdelala kot tresočko, saj se mi zdi takšna izvedba zelo primerna za otroške voščilnice. Tudi tokrat sem se odločila za žareče, tople barve, ki so mi zelo ljube. Izdelana je bila za nov izziv pri Colour Crazy s sponzorsko štampilko samoroga, ki jo dobite na TEJ povezavi. Today I will show you my card which I made with Kinda Cute image. As you can see they have adorable images. I choose Unicorne digital stamp and coloured with Prismacolor Penciles. Colors I used: Pumpkin orange, Sunburst Yellow, Yellowed orange, Orange, Lemon Yellow, Burnt Ochre, Warm grey - 10, 20 30%, Light Peach, Salmon pink. 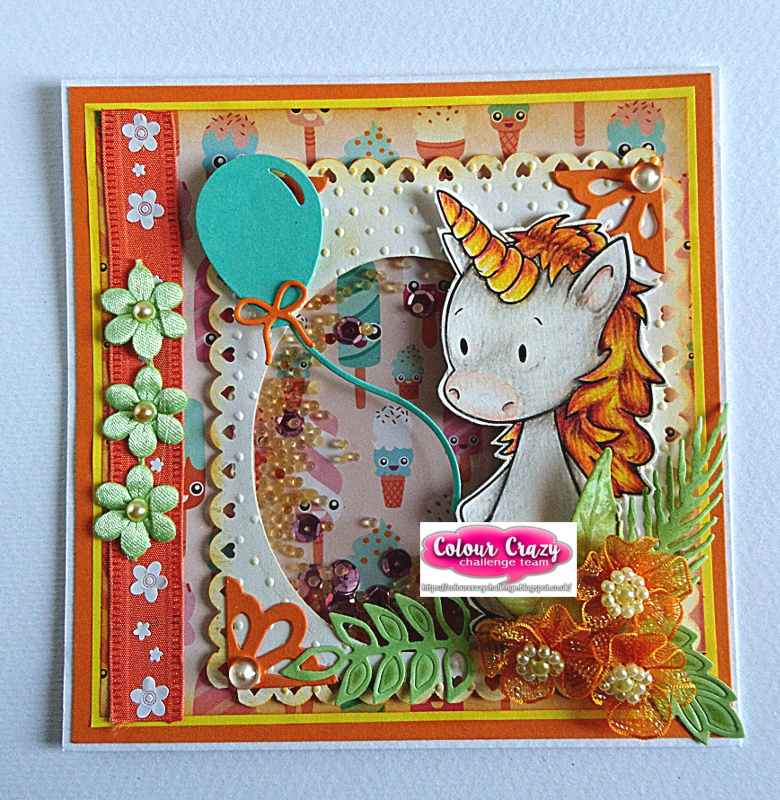 A beautiful card, such a sweet digi stamp and lots of fabulous details. Awwww, kakšen luškan samorogec. In še tresočka! Zelo zabavna in igriva voščilnica. Super je! OMG this is just so adorable! What a fabulous creation! Thanks so much for playing in our ‘Anything Goes using dies by companies carried at DRU’ challenge at Dies R Us. Good Luck and please come back again soon! Ooooh too adorable!! Nicely colored too! Thanks for joining us at PIP Challenges! 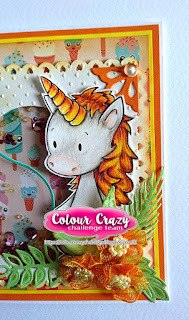 This is so very cute .Thank you for sharing with us over here today at the Classic Open Design Team Challenge and best of luck with your entry. This is so so adorable! Love the design and fun colors! Great job! Thanks so much for playing in our ‘Anything Goes using dies by companies carried at DRU’ challenge at Dies R Us. Good Luck and please come back again soon! Great shaker card. hanks for sharing it with us at Dies R Us Challenge Blog. We hope you will join us for future challenges. I will like to invite you to join us at My Besties Spanish challenge Blog. Our challenges are always Anything Goes. Super cute card! Thank you for sharing with us over here today at the Classic Open Design Team Challenge and best of luck with your entry. Great shaker card. I love the colors of this card! Wonderful creation! I love design and choice of colours! Beautiful colouring! 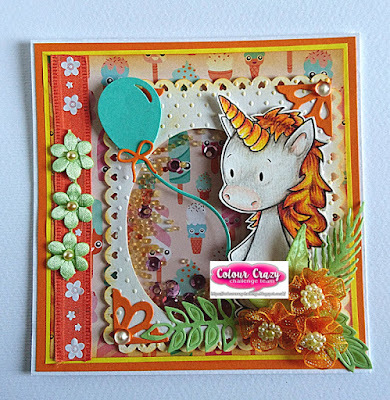 Thank-you for joining us at the Crafts Galore Encore Challenge October "ATG".